Approach the toilet. 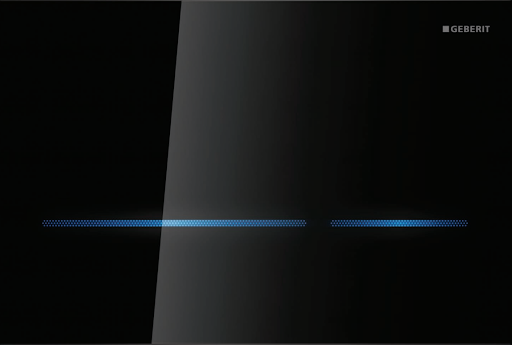 Suddenly, silently, two bars of pure light appear where a moment before only a seamless glass surface had been. 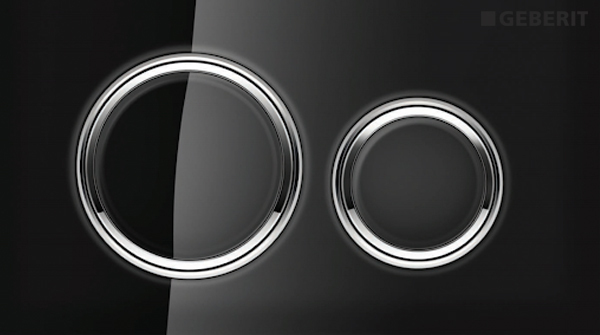 Pass your hand over the large bar for full flush or the small bar for half flush. Magic? Well, maybe. 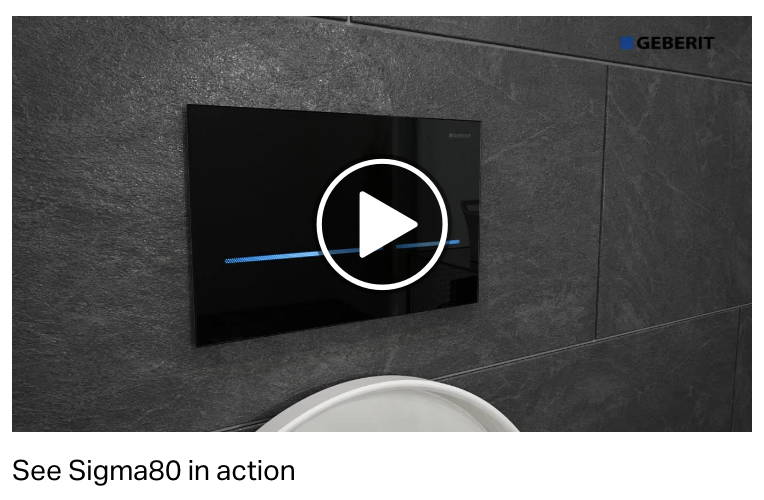 The award-winning Geberit Sigma80 is a touchless flush plate available in black or mirrored glass finishes. 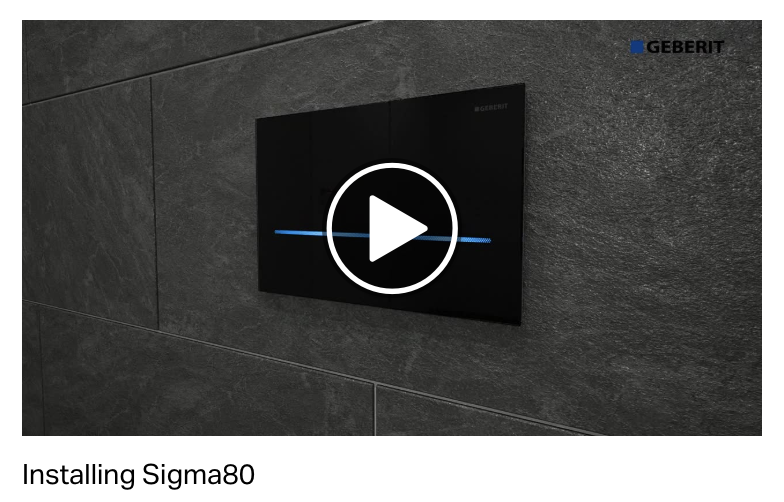 Every Sigma80 offers five user-selectable colors for the dual-flush LED bars — change the LED color to match your décor or match your mood. 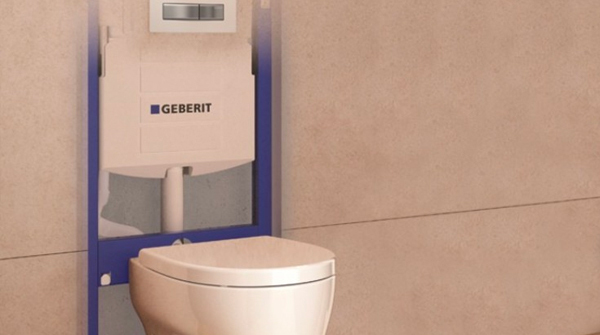 Sigma80 is compatible with Geberit Sigma concealed tanks in 2×4 or 2×6 configurations and includes a temporary shutoff mode to prevent flushing during cleaning. 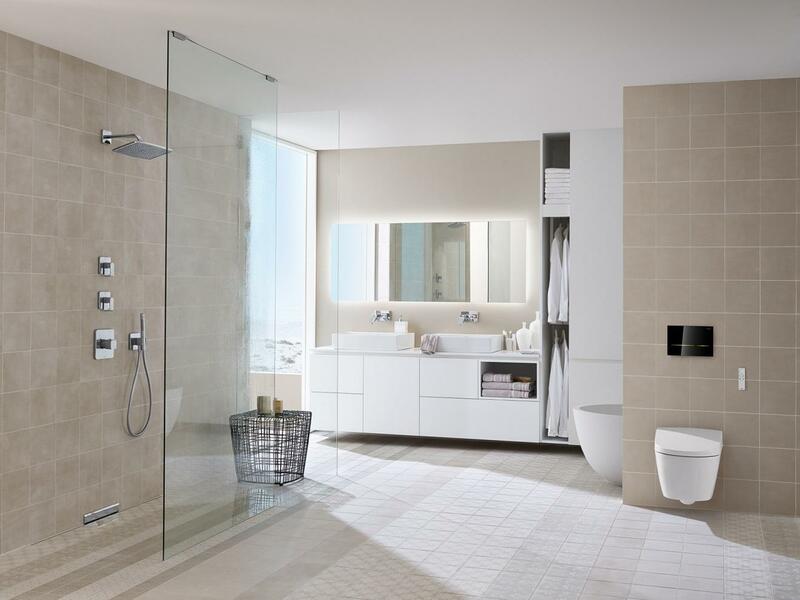 It can even be set for an automatic flush that activates as the user walks away.